Ear pain can be bothersome and disruptive, especially at night or when you are trying to sleep. Many medical conditions can cause an earache. The most common cause is an earache, but swimmer's ear, sinus infections, a sore throat and impacted ear wax all can cause ear pain as well, according to MedlinePlus. Even altitude changes you experience while flying or driving through the mountains can lead to an earache. Luckily, over-the-counter medicines and some simple home remedies can help relieve the pain. Take an over-the-counter pain reliever such as ibuprofen or acetaminophen to relieve the earache, MayoClinic.com advises. These medications will also lower fever if you or your child has an ear infection accompanied by fever. Place over-the-counter ear drops in the ear, MedlinePlus advises. If you do not have ear drops, you can also try placing a few drops of olive oil in the affected ear. Make a warm compress by soaking a washcloth in warm water. Place the compress on and over the ear opening to try and relieve ear pain, according to MayoClinic.com. Prop yourself or your child up on pillows while sleeping, MedlinePlus advises. Ear pain can intensify when laying down, but sleeping upright may help alleviate some of the pain. Chew gum. This can be especially helpful for ear pain caused by altitude changes, but may be useful for other types of ear pain. Do not give chewing gum to young children, however. Visit your doctor if the ear pain persists for a day or two. In these cases, you may have an infection that will require antibiotics to clear up or another condition may be causing the pain, according to MedlinePlus. 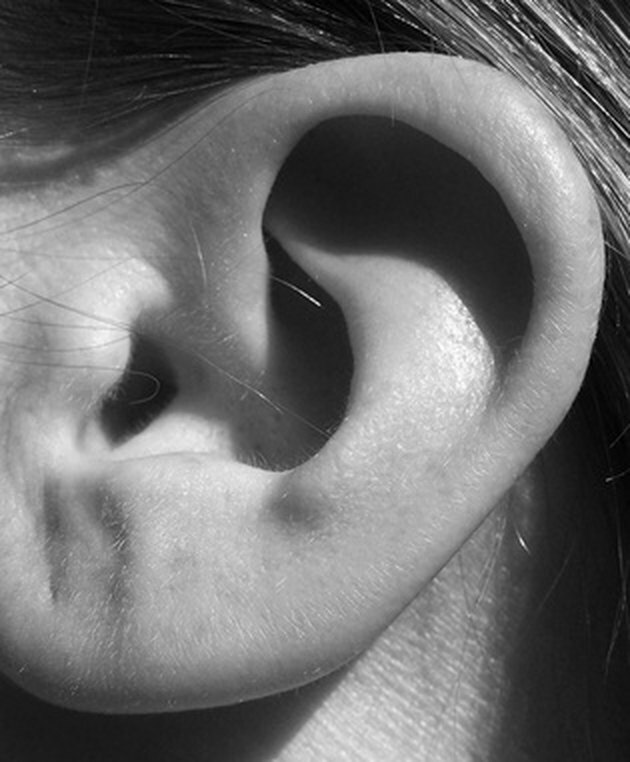 Allow ear drops or olive oil to reach room temperature before placing them in the ear. Drops that are too cold can cause discomfort or may cause dizziness. Do not give aspirin or aspirin-containing products to children with a fever because of the risk of a potentially fatal condition known as Reye's syndrome.